Amy Horowitz is interested in the unlikely coalitions and inevitable contradictions in music cultures and everyday lives. Dr. Horowitz has over four decades of experience in the academic world, the music industry, and grassroots social justice arts networks. 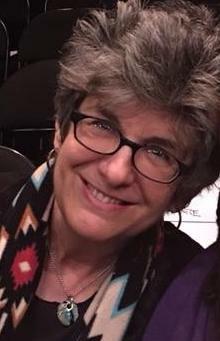 Her main research interests are global indigenous studies, the study of music in disputed territory, contemporary Jerusalem, Arab Jewish popular music and protest music as responsible citizenship. She believes in coalition across differences, and has long fought against racism, anti-Semitism, Islamophobia, homophobia and misogyny. Her work in cross-cultural and multiracial coalitions includes co-founding Roadwork and Sisterfire and serving as artist representative for Sweet Honey in the Rock 1977 – 1994. Her activist work complements her academic background that combines training in Jewish studies and ethnomusicology (MA, New York University, 1986) with folklore and Israeli studies (Ph.D., University of Pennsylvania, 1994). Horowitz worked as curator at the Smithsonian Center for Folklife and Cultural Heritage and in 1997 she received a Grammy Award as co-producer for Anthology of American Folk Music while serving as acting director of Smithsonian Folkways Recordings. In 2010, her book Mediterranean Israeli Music and the Politics of the Aesthetic received notable mention from the Jordan Schnitzer Book Awards. In 2003 she created and produced “Protest Music as Responsible Citizenship” featuring Pete Seeger, Harry Belafonte, Bernice Johnson Reagon and Holly Near. Currently she is a senior fellow in Israel Studies at Indiana University Center for the Study of the Middle East and co-director of GALACTIC (Global Arts Language Arts Culture Tradition Indigenous Communities) a collaboration of Indiana University and Navajo Technical University.